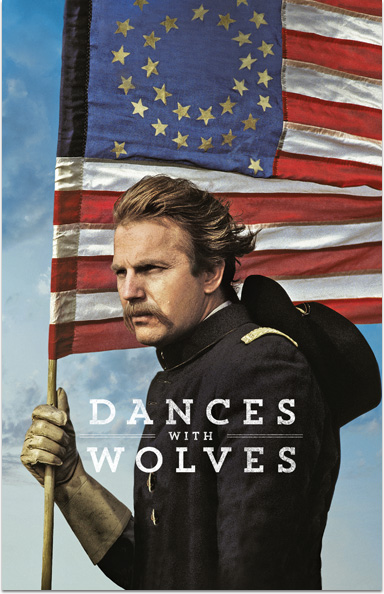 Winner of seven Academy Awards including Best Picture, Dances With Wolves chronicles the exploits of Lieutenant John Dunbar (Kevin Costner) during the Civil War. After encountering and eventually being accepted by a Native American tribe, Dunbar's loyalties are put to the test when the army threatens his new home, forcing him to choose between white America or the natives he now calls "his people." This film chronicles the exploits of Lieutenant John Dunbar during the Civil War. After being accepted by a Native American tribe, Dunbar's loyalties are put to the test. DANCES WITH WOLVES © 1990 TIG PRODUCTIONS, INC. All rights reserved.